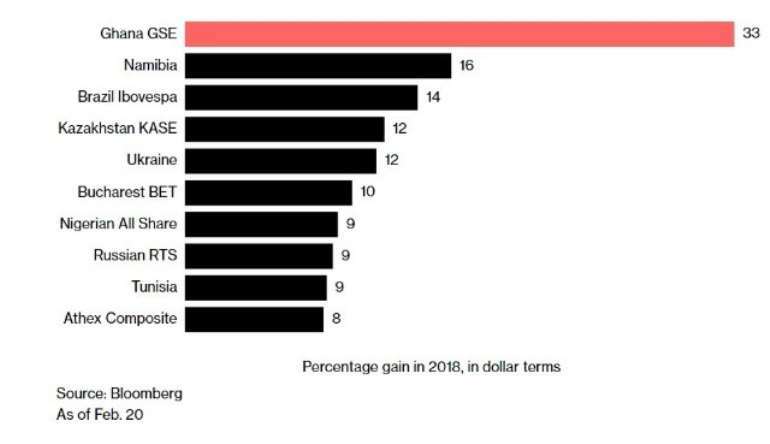 A flood of money from private pension funds has driven a 33 percent surge in Ghana’s benchmark stock index this year, giving the West African country the world’s best-performing equities. 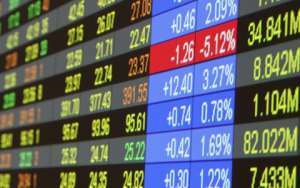 The index was little changed at 3,334.1 at 12:50 p.m. Wednesday in Accra, Ghana’s capital. The value of stocks traded by local investors increased almost five-fold from a year earlier last month, according to the Accra-based Central Securities Depository Ltd. As of Tuesday, the 36-member Ghana Stock Exchange Composite Index had risen more than the 95 other benchmarks tracked by Bloomberg in dollar terms since Jan. 1, boosted by a World Bank forecast that the economy will expand by 8.3 percent in 2018, the fastest pace on the continent.